Our #WomanOfInterest started as a shy child afraid of the spotlight. 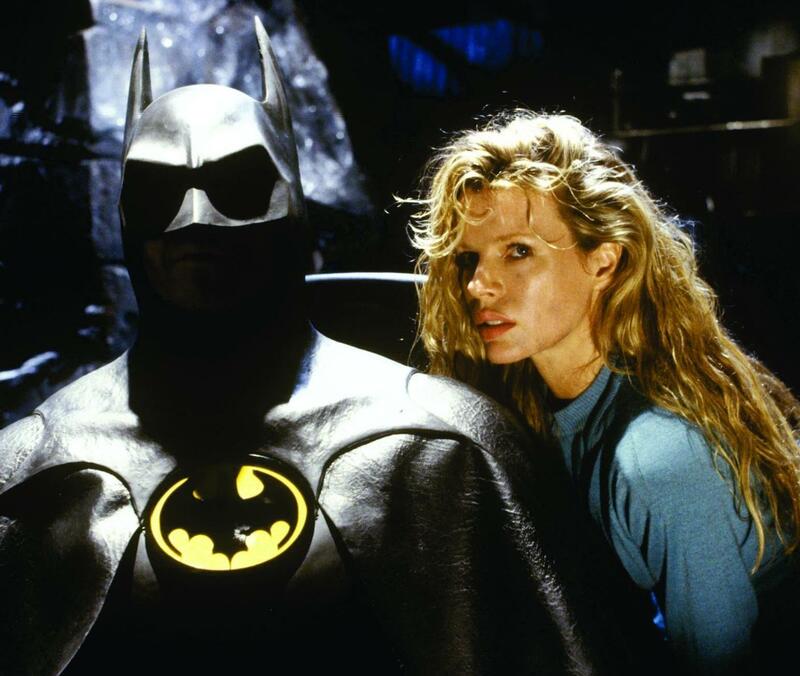 However, through her ballet studies, Kim Basinger embraced the sun and turned into a Hollywood Star. Kim Basinger was born on December 8, 1953 in Athens, Georgia. Her household was filled with the arts as her mother was a model, actress, and swimmer and her father was a big band musician and loan manager. While her parents had no fear appearing in front of people, Kim actually suffered from serious shyness. Sometimes it was so extreme, she would faint if she had to speak in class. Luckily, her parents knew ballet could help. She started studying dance at age three. By her mid-teens, Kim grew her confidence enough to try-out for her school cheerleading team. She even entered in the America’s Junior Miss Scholarship Pageant at age 17, and even won, being crowned Athens Junior Miss. Her beauty was stunning. She competed for the Breck Scholarship and was featured in an ad for Breck. Due to her ad, she landed a modeling contract with the Ford Modeling Agency. She initially turned it down so she could study singing and acting at the University of Georgia. However, she eventually decided to move to New York and become a Ford model. While she landed numerous gigs, Kim did not enjoy modeling. “It was very hard to go from one booking to another and always have to deal with the way I looked. I couldn’t stand it. I felt myself choking.” She even avoided mirrors due to her insecurity. 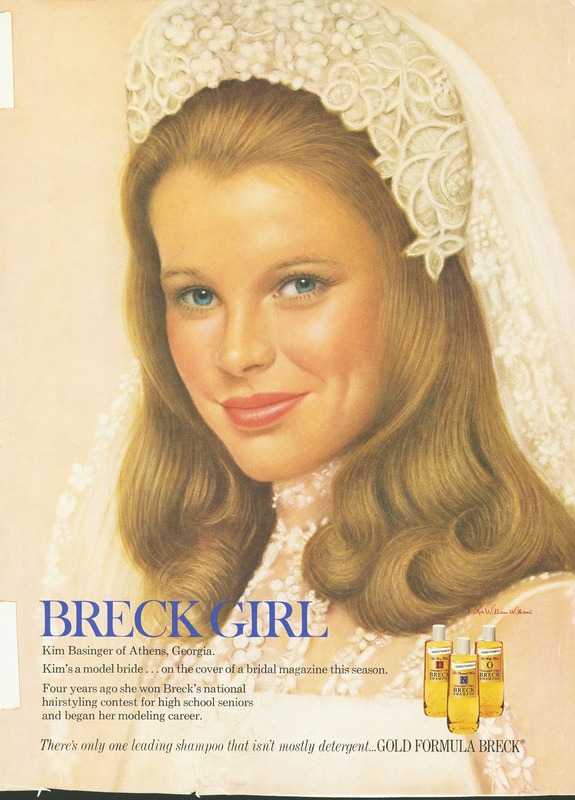 She continued to model through the 1970s despite her distaste for it, even appearing as the Breck Shampoo girl in many advertisements. Modeling allowed her to take acting classes at the Neighborhood Playhouse and sing at Greenwich Village clubs. In 1976, Kim quit modeling and moved to Los Angeles to pursue an acting career. She appeared in various television shows like McMillan & Wife and Charlie’s Angels. In 1978, she landed her first big role in the made-for-television film, Katie: Portrait Of A Centerfold. She continued to land big parts. Kim appeared in the remake of From Here To Eternity, landing her a part in a 13-episode spinoff in 1980. She also appeared in the rural drama Hard Country and Mother Lode. Kim won an Academy Award for Best Supporting Actress, as well as a Golden Globe and Screen Actor’s Guild Award, for her role in L.A. Confidential in 1997. Kim continued to stun Hollywood with wide range of acting capabilities. Kuki Gallmann once called her “the most incredible actor she had ever worked with”. Through the next 20 years, Kim played countless roles all across Hollywood. Most recently, she appeared in Fifty Shades Darker.